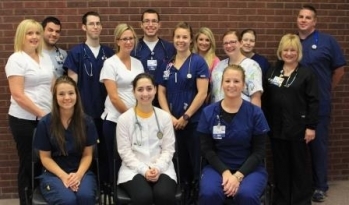 The RN Residency Program at Memorial Hospital was developed in 2006 for all graduate nurses, nurses who have been practicing for less than one year, or new to the acute-care hospital setting. What is Memorial’s RN Residency Program? 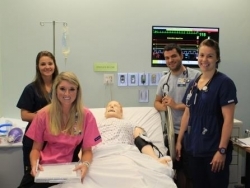 The RN Residency program is a year-long program designed to enhance transition into professional nursing practice and is designed to provide classroom and clinical learning experiences for novice nurses. The program provides an opportunity for the resident nurse to reflect on precepted experiences in their clinical setting and connect nursing practice to evidence-based resources, policies, and procedures. The program takes a hands-on approach by offering both classroom instruction and practical exposure to a variety of areas in the hospital. The RN Residency program is a team approach to professional development that includes the graduate nurse, nurse clinician, nurse manager, preceptor and the RN Residency Program coordinators. The resident will be paired with a mentor for the first year of practice. The goal of the mentoring program is to provide an opportunity for an experienced professional to share a caring and helping relationship with a novice professional by enhancing and supporting their professional growth and development. 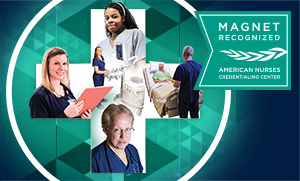 The RN Residency Program uses the American Nurses Association’s Scope and Standards of Practice, Patricia Benner’s Novice to Expert Theory (based on the Dreyfus Model of Skill Acquisition) and Memorial’s Professional Practice Model, Relationship-Based Care, patterned after Dr. Jean Watson’s Theory of Human Caring. The program gives the resident nurse specialized, on-the-job training, and exposure to many aspects of nursing in a hospital setting. Residents can explore other areas of nursing, often coming away eager to learn more about a particular area. 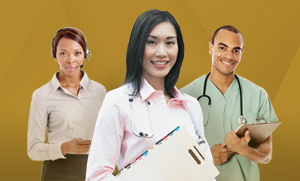 There is no application process for the RN Residency Program. For those nurses who may not fit the criteria above, but who are still interested in participating in the RN Residency Program, special consideration may be given. If you would like to learn more about the RN Residency program, contact our RN Residency coordinators, JoAnne Sehr RN, MSN, CAPA, Nurse Clinician and Diane Ashmann MSN, RN-BC, Nurse Clinician. See why our nurses are the best of the best. ​​Check out our employment opportunities.